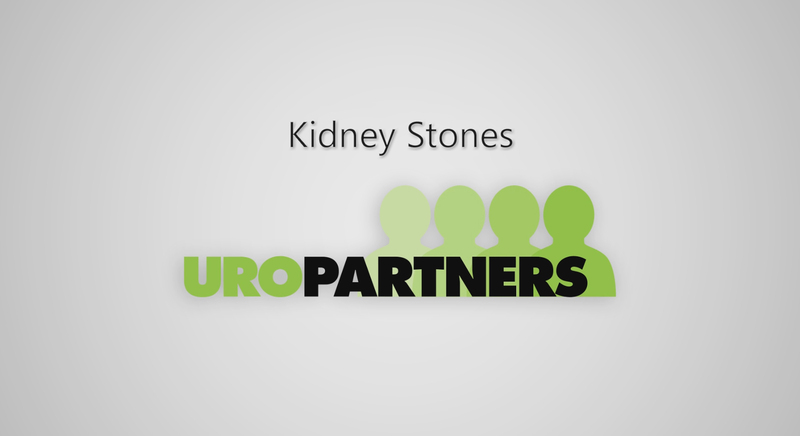 Kidney stones are among the most painful and prevalent of urologic disorders. More than a million kidney stone cases are diagnosed each year, with an estimated 10 percent of Americans destined to suffer at some point in their lives. This number is unfortunately rising secondary to the dietary and climate changes in our population. The urinary tract, or system, consists of the kidneys, ureters, bladder and urethra. The kidneys are two bean-shaped organs below the ribs in the back of the torso (area between ribs and hips). They are responsible for maintaining fluid and electrolyte balance by removing extra water and wastes from the blood and converting it to urine. The kidneys keep a stable balance of salts and other substances in the blood. They also produce hormones that build strong bones and help form red blood cells. Urine is carried by narrow muscular tubes, the ureters, from the kidneys to the bladder, a triangular-shaped reservoir in the lower abdomen. Like a balloon, the bladder's walls stretch and expand to store urine and then flatten when urine is emptied through the urethra to outside the body. A stone forms in the kidney when there is an imbalance between certain urinary components chemicals such as calcium, oxalate and phosphate that promote crystallization and others that inhibit it. Most common stones contain calcium in combination with oxalate and/or phosphate. A less common type of stone is caused by infection in the urinary tract. This type of stone is called a struvite or infection stone. Much less common are the pure uric acid stones. Much rarer is the hereditary type of stones called cystine stones. Even more rare are those linked to other hereditary disorders. For unknown reasons, the number of people in the United States with kidney stones has been increasing over the past 20 years. Caucasians are more prone to develop kidney stones than African Americans. Although stones occur more frequently in men, the number of women who get them has been increasing over the past 10 years, causing the ratio to change. Kidney stones strike most typically middle-aged men but we are now seeing all ages and more females affected by stone disease likely secondary to the dietary and climate changes in our population. If a person forms a stone, there is a 50 percent chance they will develop another stone. What causes a stone to form? promote stones in susceptible people, researchers do not believe that eating a specific item will cause stones in people who are not vulnerable. Yet they are confident that factors such as a family or personal history of kidney stones and other urinary infections or diseases have a definite connection to this problem. Climate and water intake may also play a role in stone formation. Although most stone formers do not have a medical condition that directly leads to their stone development, conditions do exist that place patients at high risk for formation. For example, stones can form because of obstruction to urinary passage like in prostate enlargement or stricture disease. Stone formation has also been linked to hyperparathyroidism, an endocrine disorder that results in more calcium in your urine. Susceptibility can also be raised if you are among the people with rare hereditary disorders such as cystinuria or primary hyperoxaluria who develop kidney stones because of excesses of the amino acid, cystine or the oxalate in your urine. Usually, the symptom of a kidney stone is extreme pain that has been described as being worse than child labor pains. The pain often begins suddenly as the stone moves in the urinary tract, causing irritation and blockage. Typically, a person feels a sharp, cramping pain in the back and in the side of the area of the kidney or in the lower abdomen, which may spread to the groin. Also, sometimes a person will complain of blood in the urine, nausea and/or vomiting. Occasionally stones do not produce any symptoms. But while they may be "silent," they can be growing, even threatening irreversible damage to kidney function. More commonly, however, if a stone is not large enough to prompt major symptoms, it still can trigger a dull ache that is often confused with muscle or intestinal pain. Sometimes "silent" stones (those that cause no symptoms) are found on X-rays taken during a general health examination. These stones would likely pass unnoticed. If they are large, then treatment should be offered. More often, kidney stones are found on an X-ray or sonogram taken on someone who complains of blood in the urine or sudden pain. These diagnostic images give the doctor valuable information about the stone's size and location. Blood and urine tests also help detect any abnormal substance that might promote stone formation. If your doctor suspects a stone but is unable to make a diagnosis from a simple X-ray, he or she may scan the urinary system with computed tomography (CT). It is an imaging technique that is the gold standard for stone diagnosis as it is an extremely accurate diagnostic tool that can detect almost all types of kidney stones painlessly. Historically IVP was used but this requires prep as well as intravenous contrast dye and serial X-rays. Unfortunately kidney stones are a recurrent disease, meaning that if you have one stone you are at risk for another stone event. In general, the lifetime recurrence risk for a stone former is thought to approach 50%. Stone prevention, therefore, is essential. Your urologist may follow up with several tests to determine which factors e.g., medication or diet should be changed to reduce your recurrence risk. Do not be surprised, if you are asked to collect urine for 24 hours after a stone has passed or been removed to measure volume and levels of acidity, calcium, sodium, uric acid, oxalate, citrate and creatinine. This information will be used to determine the cause of the stone. A followup 24-hour analysis may be used to find out the effectiveness of treatment. A good first step for prevention is to drink more liquids water is the best. If you tend to form stones, you should try to drink enough liquids throughout the day to produce at least two liters of urine in every 24-hour period. People who form calcium stones used to be told to avoid dairy products and other foods with high calcium content. However, recent studies have shown that restricting calcium may actually increase stone risk secondary to increased absorption of oxalate, a component of stones. Megadoses of calcium, Vitamin D, or Vitamin C may increase the risk of developing stones, especially in people with a family history of stones. These people need to be careful and should calcium supplementation be needed, calcium citrate is best. If you are at risk for developing stones, your doctor may perform certain blood and urine tests to determine which factors can best be altered to reduce the risk. Some people can decrease their risk with dietary changes while others will need medicines to prevent stones from forming. Other general recommendations for stone formers other than remaining well hydrated, and ingesting recommended daily allowance of calcium, are a low sodium and low animal protein diet. No. There is no known link between gallstones and kidney stones. They are formed in different areas of the body. Also, if you have a gallstone, you are not necessarily more likely to develop kidney stones. Treating this condition can be challenging. In the past, urologists relied on conventional open surgery to remove the offending stone. But today they employ a combination of shock wave lithotripsy and percutaneous surgical procedures, even though patients may still need a traditional operation. ESWL alone is not effective. In any case, it is essential that once the stone is removed, you work diligently to prevent further ones from forming by preventing urinary tract infection. Luckily, new drugs and the growing field of lithotripsy have greatly improved the treatment of all kidney calculi, including staghorn stones.